Imagination, creation, and exploration – that’s what is fostered in our Arts Center at Pocono Springs Camp! Campers learn and express their creativity in an abundance of offerings in both our Creative Arts and Performing Arts programs! 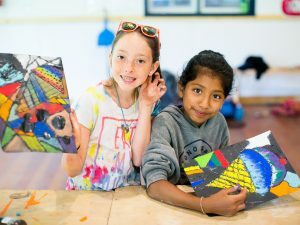 Our Arts and Crafts instructors are eager to bring out our campers’ personalities and talents in many different mediums, and they share their passion for painting, drawing, ceramics, beading and bracelet-making, tie-dyeing, and so much more! Campers also have the opportunity to build and launch their own rockets into the sky in our amazing Rocketry classes! The Performing Arts program has something for everyone! 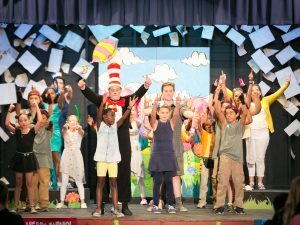 The Theater comes to life each summer with a production of a big, Broadway-style musical. All campers are invited to join in, whether it be on stage bringing characters to life or behind the scenes designing sets, costumes, lights, and sound. The indoor dance studio is a lively environment where any camper can have a blast creating routines and exploring various genres of dance! 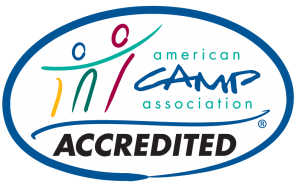 Campers can also build confidence and develop their comedy chops in our Improv classes, practice for talent shows in our Guitar lessons, or develop skits and songs for our campfires all within our Performing Arts program. These skills are all developed and nurtured in a supportive environment where all campers are celebrated!